It’s no surprise there is a wonderful collection of dog parks all throughout the state of Colorado. 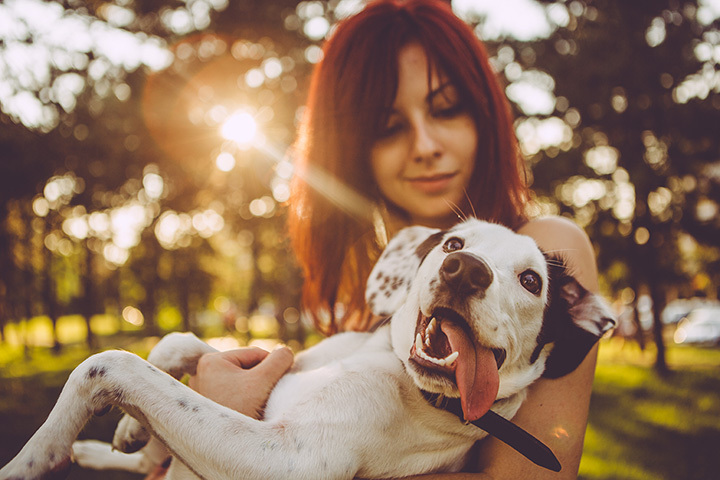 No matter if you are seeking a big expanse for your dog of a larger breed, or a smaller fenced area for your little pup, there is a dog park for you and your best friend. Since Colorado residents are typically outdoorsy and active people, many of the spaces below actually have hiking trails too. These 10 best dog parks in Colorado are sure to keep you and Fido happy, no matter where in the state you choose to roam. This large dog park is one of the most loved in the state. With 69 acres for your pup to roam, Chatfield State Park Off-Leash Dog Area in Littleton is perfect for off-leash fun. You and your dog can explore many trails and ponds. Since this is a state park, there are facilities like restrooms, trash cans and maintained trails. Located near Lowry Air Force Base in Denver, Lowry Dog Park offers off-leash play for pups. Do keep in mind that supervision of your dog is necessary here. And as always, clean up after your pup so that all can enjoy this peaceful outdoor park. Bear Creek Dog Park in Colorado Springs actually features two different play areas, one for dogs under 25 pounds and another area for larger dogs. This 25-acre off-leash area is recommended for dogs that respond to voice command. On average, this popular park gets visited by 80 to 100 humans and 150 to 200 dogs daily. Expect pathways, a water station and restrooms at Bear Creek Dog Park. This big 125-acre park features open fields, rivers and even a sandy beach that is sure to please your canine. The Cherry Creek State Park Off-Leash Dog Area is a popular spot for dog owners in Aurora. The state park offers facilities for both humans and dogs, including restrooms, trash cans and maintained trails. With 420-acres of off-leash open space, Westminster Hills Dog Park is sure to please both you and your pup. Do keep in mind that this area is partially fenced, so it is important to only bring dogs that respond to voice command. Union Reservoir in Longmont offers a dog beach, off-leash area and even designated areas for dogs to swim. The dog beach is the only spot where dogs are allowed to swim, and some areas in Union Reservoir do require leashes. However the dog beach alone is worth the visit. Durango Dog Park offers six square miles of open, off-leash play for Fido. Your pup can take a swim in the lake or enjoy the trails. Furthermore, this dog park is very close to dog-friendly accommodations, making it a perfect place if you are traveling with your canine. This sandy space is a dog’s dream. Complete with water fountains and an off-leash area, the Stapleton Dog Park is sure to burn off your dog’s energy in no time. Some areas of the park do require a leash. Located in Evergreen, the Elk Meadow Open Space Bark Park features trails and freshwater streams. With 107-acres and 3.2 miles of trails, this dog park will make for a great experience for both you and your pup. The Rampart Dog Park in Colorado Springs has a large off-leash area, water spigots and mulch hills for Fido to joyfully play. There are even benches for owners to relax. This park is definitely designed for dogs of larger breeds however. View more Colorado Dog Parks.